Nakshi Kantha Zee Bangla Serial Title Song Lyrics, Cast And Information: Nokshi Katha is an Indian Bengali television soap opera that premiered on 12 November 2018 Monday To Friday at 9:30 P.M airs on ZeeBangla. starring: Manali Dey is most popular actress for her previous work on "Bou Kotha Kao" TV serial and she acting as a "Mouri" role And Suman Dey who had previously acted in 'Gurudakshina' Colors Bangla Serial. 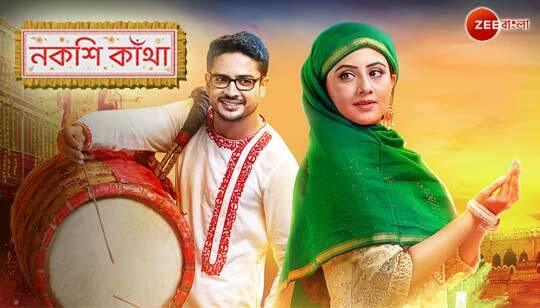 Watch this serial "Nakshi Katha" Only On ZeeBangla And ZEE5. If Any Song/Lyrics Request Please Mail Us Through Our Contact us Page.